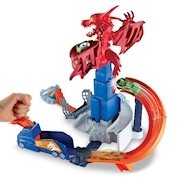 Go on a quest to defeat the dragon and save the city! 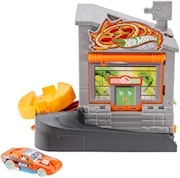 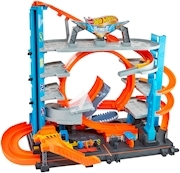 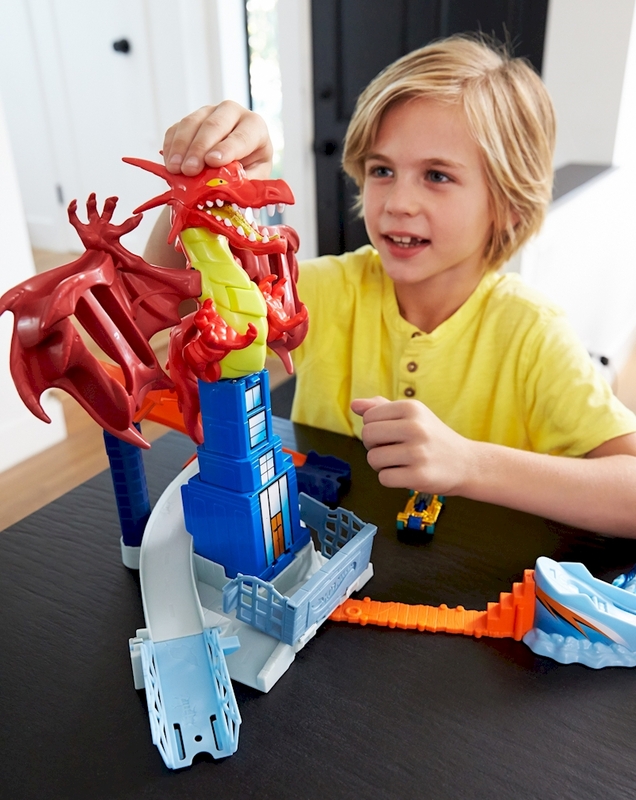 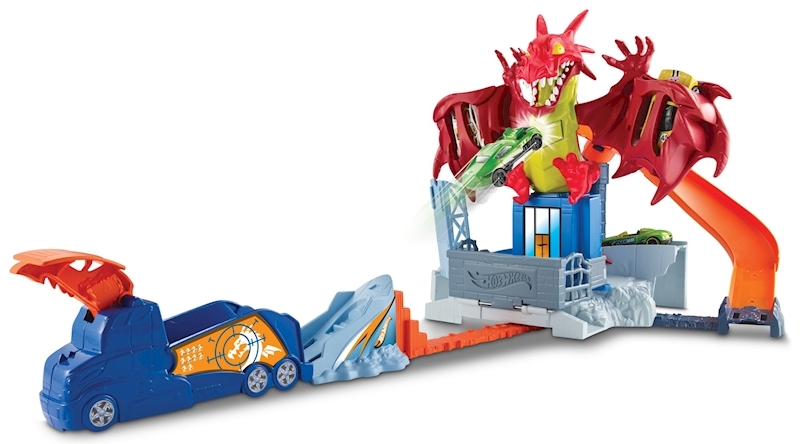 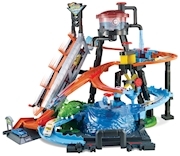 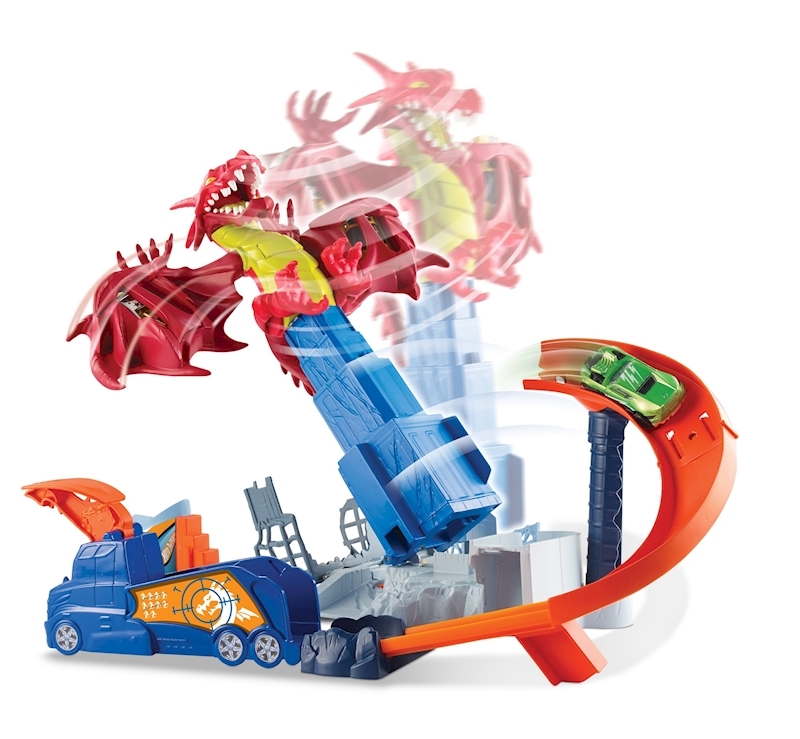 The large-scale Hot Wheels® Dragon Blast play set is all about thrilling adventure and dramatic story-based play with multiple outcome options! 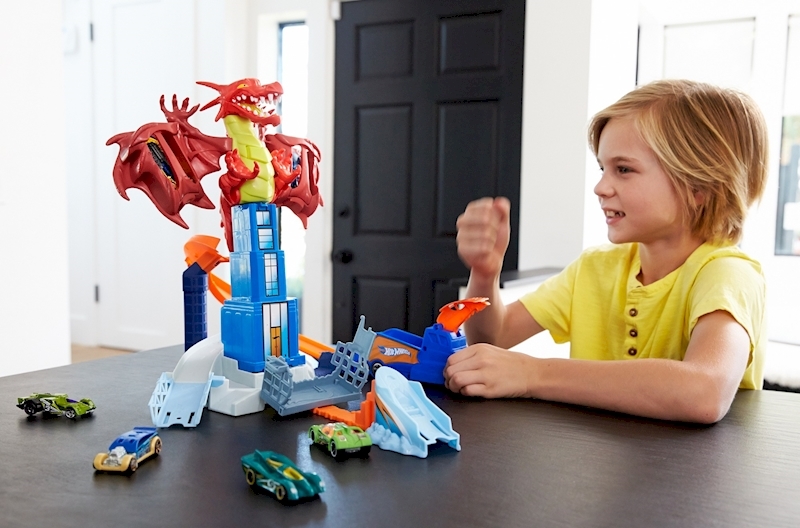 Up against the menacing dragon, launch your Hot Wheels® car right at him. 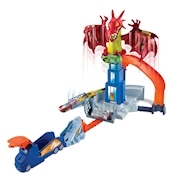 When you hit him he gets angry and springs to life spreading his wings and revealing multiple levels of action! 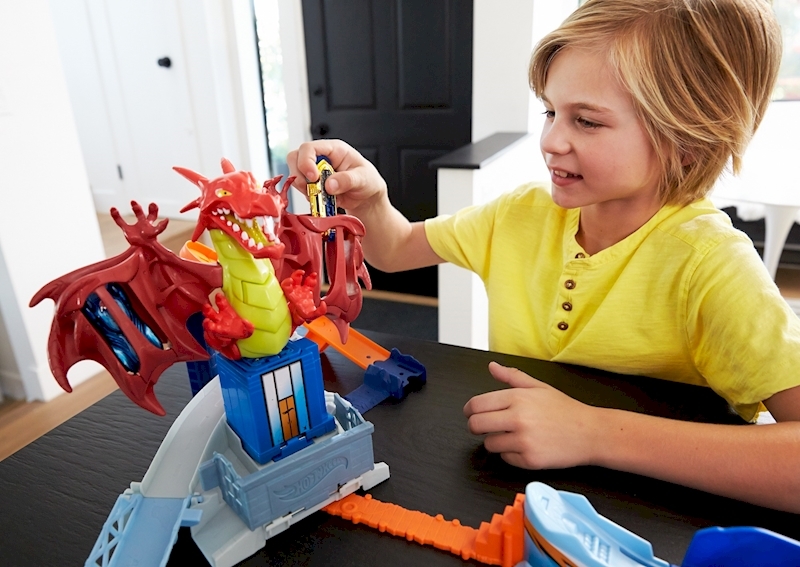 Practice your aiming skills to avoid falling into his cage if you miss. 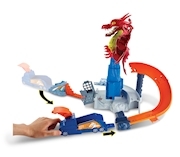 Defeat your nemesis by moving to the second launch ramp to try and slam into his tail. It's the only way to take him down. 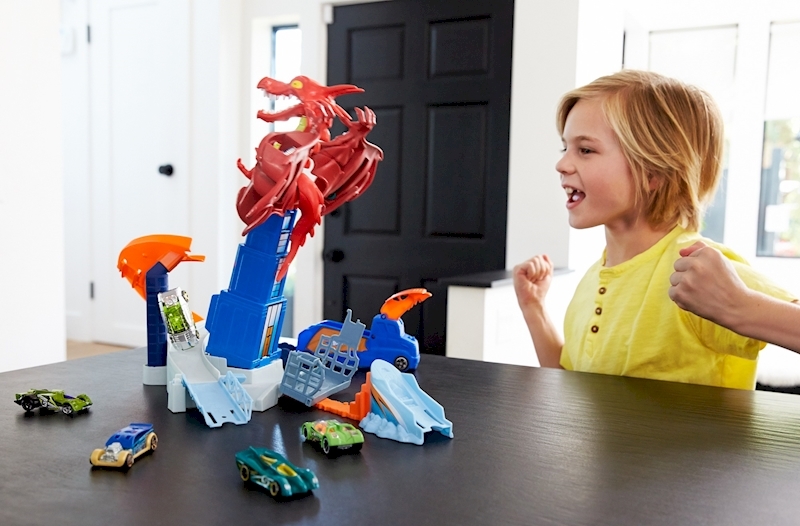 The Launcher doubles as a vehicle and movable slam blast launcher!